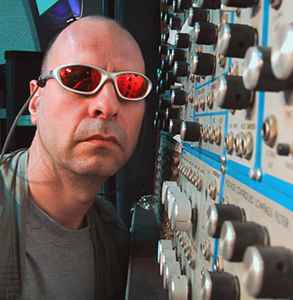 Gareth Jones is a British Music Producer, Mixer and professional Noise Maker. A pioneer in the use of digital equipment (including incorporating then new sampling technology), Jones combined digital tools with analog recording techniques and synthesizers. Legendary in electronic music circles, Jones has produced five albums for techno pioneers Depeche Mode and six albums for synth-pop superstars Erasure as well as multiple titles for Wire, Einsturzende Neubauten, Diamanda Galas and more. UK native Jones was trained at the BBC and got his start recording the best of London ‘80’s new wave and industrial scene including early singles for Madness and Depeche Mode. Moving to Berlin in 1983, he worked at the legendary Hansa Studios for 10 years recording and mixing Depeche Mode, Nick Cave & the Bad Seeds, Wim Wenders soundtracks and much, much more. Sky TV in the UK recently commissioned a documentary on Hansa studio featuring multiple interviews with Gareth Jones. More recently Jones has mixed for Efterklang, The Futureheads, Grizzly Bear, IndoChine, Interpol, Josh T. Pearson, Liars, Merchandise. Mogwai, Sons and Daughters, Yann Tiersen, & Young Dreams. He’s also remixed tracks for Can, Erasure, Goldfrapp, MGMT, Neu, Orbital, Pizzicato 5, Plastikman, SCUM and To Rococo Rot. Recent productions (usually including mixing) include Clinic, Emmy the Great, Erasure. Polly Scattergood, These New Puritans, We Have Band, Wovoka Gentle and others. His production room is now located at Strongroom Studio in London. A Logic Pro guru, Modular Synth geek, Ableton Live enthusiast, keen and active MPG member and a JAMES assessor, Jones is a frequent lecturer for the Red Bull Music Academy and appeared at Moog Fest 2018.